Stretch marks are an ever lingering reality during pregnancy. Yes, the pregnancy glow and the fact that you will be a new mom in a few months are definite prospects, a woman looks forward to. Often times new moms while catering to their newborns forget to tend to the changes their bodies went through during pregnancy. One such concern is stretch marks. Stretch marks, occur with the rapid growth of a pregnant belly. The elastic fibres within the skin, stretch and get disrupted. This disruption remains which causes the persistence of the stretch marks. However there are some ways to lighten and restore some of the elasticity of the skin. This article will venture into some of these options. Stretch marks are small depressed patches of skin. They start out pink, reddish brown, purple, or dark brown, depending on your skin color. They later fade, although they never totally disappear. 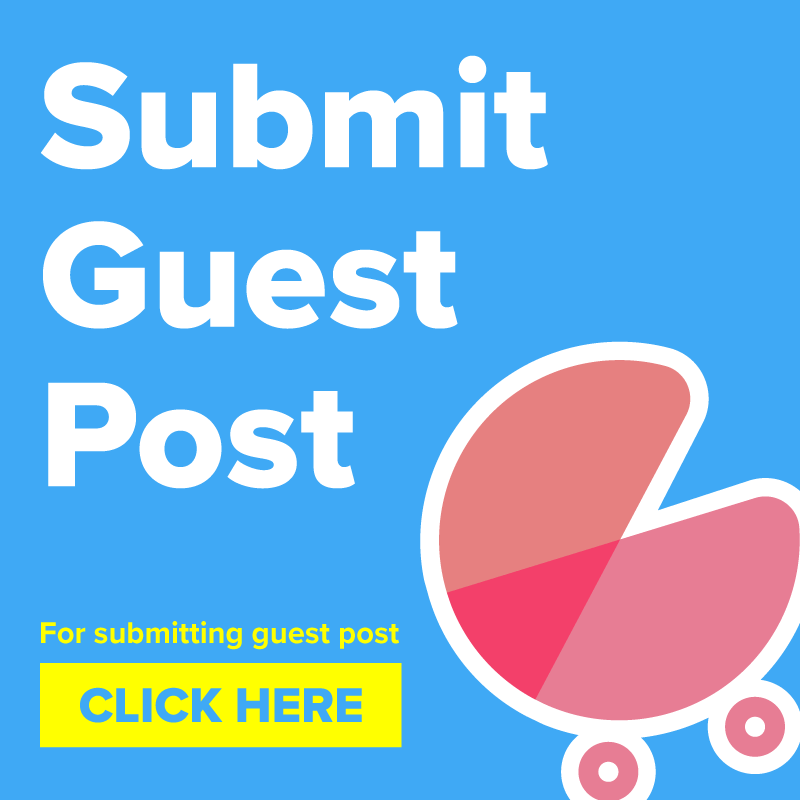 A recent survey published in Times of India, which was conducted in the metro and non metropolitan cities of India, revealed that 87% of new and expecting moms-to-be worry about their physical appearance during and post pregnancy. Moreover, 90% new and expecting mothers agree that stretch marks are one of the most worrisome issues with respect to their looks. In the Indian market, there are so many companies which pitch the claim to remove stretch marks. We, ladies, love cosmetics. And our dressing tables clearly shows our love for variety of creams. We have BB cream, CC cream, moisturising cream, sunscreen cream, skin lightening cream and what not. And after or during pregnancy , there are other creams which get added to our vanity. This cream is used by ladies who are still carrying the baby. This creams helps lightening your skin and gives you an uneven skin tone. It consists of shea butter, collagen, Elastin and Vitamin E. This product is dermatologically tested. This cream is very good in reducing your stretch marks. It is used by women before and after their delivery. This is especially made to penetrate inside your skin and helps repairing the top layer of your skin. This UK brand is also a dermatologically tested cream. It contains sweet almond oil and shea butter which helps keeping your baby bump supple and reduces stretch marks too. If you use this cream regularly during your pregnancy, it reduces the chances of having stretch marks after delivery. This cream has jojoba oil, wheat germ and almond which moisturises the skin. It helps reducing the scars and it also rejuvenates your skin as it contains vitamin C.
VLCC products are widely used products for all skin care and other related problems.This product is specially made for reducing stretch marks. It also helps in itching problems around the affected areas commonly found by women after delivery. Like all other products of Vichy, this is also an expensive product of its series. This product is a combination of enriching and nourishing ingredients such as natural oils, glycerin, aloe vera and shea. It also has a safe amount of silicon too. This product has been gynaecologically tested for all over body use for pregnant women. It will help you reducing stretch marks and it can also be used by all other than pregnant women. Both natural and OTC formulations frequently contain antioxidants like vitamin E and vitamin C to stimulate the healing of scar tissue. According to a study published in the New York Times, individuals who take care of their skin by means of vitamin E or any skin care products containing vitamin E possess lesser amount of stretch marks. What stretch mark removal creams consist of ? Some of the creams contain tretinoin and tazarotene (prescription retinoid), which is a form of vitamin A. This assists in building collagen within stretch marks and improve their appearance. Oils always work great to keep our skin smooth. And when it comes to removing your stretch marks, they are also counted as one of the best solutions. So, here are some oils listed below which are available in market and used commonly by women after and during the pregnancy too. It has a specialised skincare treatment. It helps in improving the skin scars and uneven skin tone too. It has all the natural ingredients in it and consists of vitamins A and E. This oil is best for all skin, especially the sensitive skin. Nivea has launched a massaging oil which can help you deal with stretch marks. This product contains all certified ingredients such as almond oil, jojoba oil, lavender sweet, wheat germ oil, avocado oil and apricot kernel oil. It contains all natural ingredients so it is unlikely to have any side effect of this product. It’s a smooth and ideal oil for removing your stretch marks during your pregnancy. It can also be used during post delivery period. Effectiveness has also been noticed when it is used on old stretch marks. You may feel self-conscious and uncomfortable about your appearance having those stretch marks. Fortunately, there are several natural ways to reduce the appearance of stretch marks. Aloe vera is not only used for facepacks or hair packs for good hair. It can also be used for reducing your stretch marks. You can directly apply raw Aloe Vera on affected area and leave it for 15 minutes and gently rinse the area with lukewarm water. Moisturizers are always good for skin especially the herbal ones as they contain aloe vera,olive oil and vitamins. These moisturizers not only give natural glow to your skin but also keep it well moisturized and hydrated. In this case, you will have lesser chances of having stretch marks. Applying moisturizers on newly developed marks will be more effective than the older ones. You may start using moisturizers even before delivery. Another simple way to lessen stretch marks is to use lemon juice. Lemon juice is naturally acidic which helps heal and reduce stretch marks, acne, and other scars. Rub fresh lemon juice gently onto the stretch marks using circular motions. Allow the lemon juice to soak into your skin for at least 10 minutes before rinsing it off with warm water. White sugar is commonly used in so many home remedies. You can use white sugar to exfoliate your skin. So all you need to do is take a tablespoon of sugar and mix it with some drops of almond oil and lemon. Now apply this mixture on your marks and rub it for few minutes before taking shower. Keep trying this remedy daily for a month and see your stretch marks become lighter. Potato juice contains vitamins and minerals that foster growth and restoration of skin cells.Cut a medium-sized potato into thick slices.Take one of the potato pieces and rub it gently on the stretch marks for a few minutes. Make sure the starch from the potato covers the affected area. Now, allow the potato juice to dry for some time and then wash it off with lukewarm water. Castor oil is considered very effective for all the skin problems including wrinkles, dark spots, fine lines, pimples and stretch marks. Cover the area with some cloth. Now apply heat using hot pad or hot water bag for 20 minutes. Here is another safe method to prevent stretch marks. You can prevent stretch marks by gently rubbing coconut oil on the affected area twice a day. The use of coconut oil will help soothe, heal, moisturize, and clarify your skin during pregnancy. Eggs contain a lot of protein that will helps reducing stretch marks and nourishes your skin. Crack the eggs and separate yolk from the whites. Whip up the whites and apply thick layer of it on the stretch marks. Leave it till it gets dry. Rinse it off with some water. Laser treatment is widely used nowadays for various skin and hair related problems. This treatment is quite popular these days as it shows quick results. During a laser procedure, thin layers of skin near the stretch marks is removed by beam of light. After the treatment is complete, that area is healed in a short span of time and healthy skin is formed later. Although this method has some risk associated with it which have been seen in some rare cases. If not handled in a proper way, it could lead to tissue damage. So, make sure you choose a dermatologist wisely. 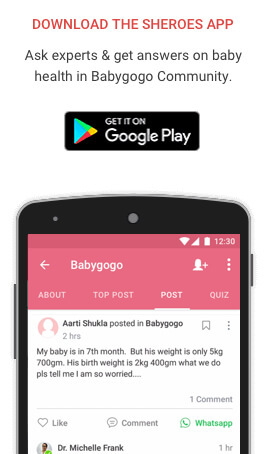 In Babygogo, we have a community of mothers who discuss their problems with each other and get solution to their query. Here, we have jotted down some of their first hand advice with stretch marks. You need to stay hydrated during and post delivery. Massage your body regularly. You can use olive, almond, castor or avocado oil for the same. Use aloe vera for rubbing the affected area. Some mothers have suggested to apply egg whites as it is a rich source of protein. Always apply sunscreen before going for swimming or going out during the pregnancy. Our nutritionist mothers have suggested to include skin- nourishing foods rich in antioxidants like spinach, carrots, sweet potatoes, blueberries, strawberries, foods containing vitamin E, nuts, seeds, avocados, broccoli and greens. For non vegetarians , fish, eggs and oysters can also be a part of their diet for protein supplement. As we have mentioned earlier, stretch marks occur due the excess weight pregnant women gain during their pregnancy. There is a myth that pregnant women should eat for two, but this is absolutely incorrect. A diet rich in proteins and vitamins would be sufficient for you and your baby. So, have regular diet and avoid excessive consumption of food to avoid putting on excess weight. Regular exercise will also help you to retain your skin’s elasticity. It would reduce the probability of having stretch marks. You must try pregnancy yoga, to bring about flexibility and it improve blood circulation. Most of our mom users had suffered from itching around the stretch marks. You should not scratch them. Oils, creams and moisturizers should assist in keeping your skin smooth and itch – free. Hope this article helps you clearing all your doubts regarding the stretch marks. If you have some advice for the same problem, please feel free to share it with us. Also comment below if this article helps you in any way. Happy reading!! Happy Parenting!! tHIS WAS INDEED A GREAT POST 🙂 i wish i knew about all these i would have not landed with some. but i will try them even now. can these stretch marks go after 2 years of delivery ?